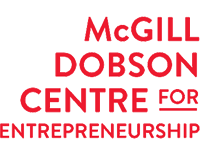 Learn more about our various entrepreneurship programs like the McGill Dobson Cup, the McGill X-1 Accelerator and the McGill Lean Startup as well as the people who have passed through our doors! Read more about Can AI improve depression treatments? The teams that make it past the Semi-Finals will be invited to the Finals round of the competition, scheduled to take place on March 27th, 2019.